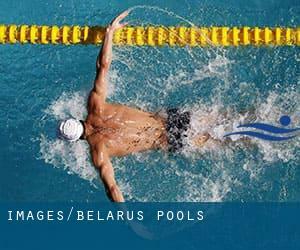 The very best selection during your visit to Belarus will be droping by a Belarus Swimming Pool. Are you on holiday and need to hold fit and healthy? Swimia.com provides you the easy and quickest approach to find Aquagym in Belarus near your current location. Swimia.com has essentially the most up-to-date database on the net about practically any Belarus Swimming Pool. Classified by countries, regions and cities, it can be simple to find the nearest pool at the places you visit. For Belarus, you are able to have a look at the pools we've gathered for you. Regular users of the following Belarus Pools told us the most essential thing about swimming is always to control your breathing. Occasionally this is not potential because we raise the neck to breathe and also the body isn't aligned. To avoid this, our head should be aligned with our spine all the time. Not all countries are the same, and swimming rules and regulations are changing from one country to the other. So, if this is your initial time looking for Belarus Pools, make sure to call the premises prior to you drop by. Do you know of any Pools in Spain that should be listed here? Contact us!. Enjoy the best indoor pools in Belarus and don't worry about the weather. These facilities are open all seasons and you can enjoy a swim at the same temperature every day of the year. There are several causes why you should choose a heated swimming pool in Belarus. Probably the most necessary one relies on the importance of keeping the body temperature stable. When the water is as well cold, your body will try to warm it up and you will shed strength to swim properly. Without a shadow of a doubt, swimming in Mogilev is the very best method to unwind after work. Take a couple of minutes to browse Swimia's catalog to find a Swimming Pool in Mogilev. Holding an estimated population of 480.951, Homyel is one of the most important cities in Belarus. Check all of the Pool in Homyel and its surrounding area. Swimming is really a superb thought to keep your body active in the course of your visit to Minsk (Belarus), or even should you be a local. Swimia helps you to find your closest Swimming Pool in Minsk. Whereas Vitebsk is one of the six most populous cities in Belarus with nearly 342.700 residents, you shouldn't miss that one if you're going to Belarus. ul Kuybyshev, 41 , Minsk (Postal Code: Unknown). Swimmers like you reported 25 meters, 6 lanes, 4 meters maximum depth, 4 meters maximum depth, Indoors. Unfortunately we do not have the e-mail address of this Pool, but we can give you the phone number. ul ya.Kolasa, 2 , Minsk (Postal Code: Unknown). Among all the activities supplied by the center, if you are thinking about swimming you'll enjoy 25 meters, 3 lanes, Indoors. Just in case you need to contact this Pool before dropping by, we only know the phone number. ul Kakhovka, 74 , Minsk (Postal Code: Unknown). Among all the activities supplied by the center, in case you are enthusiastic about swimming you will delight in 25 meters, 5 lanes, 2 meters maximum depth, 2 meters maximum depth, Indoors. Just in case you would like to make contact with this Swimming Pool before dropping by, we only know the phone number. ul. Surganova, 2a , Minsk (Postal Code: Unknown). Swimmers like you have reported Olympic size x 21 meters, 8 lanes, 2 meters depth, 2 meters depth, Indoors. Also, you will find 20 meters x 10 meters, Indoors. Just in case you want to contact this Swimming Pool just before dropping by, we only know the phone number. Ul. P.Glebki, 30a , Minsk (Postal Code: Unknown). Among all the activities provided by the center, if you are interested in swimming you will appreciate 25 meters, 4 lanes, 2 meters maximum depth, 2 meters maximum depth, Indoors. Just in case you would like to contact this Swimming Pool before dropping by, we only know the phone number. ul. Kozlov, 17- A , Minsk (Postal Code: Unknown). Swimmers like you reported 25 meters, 6 lanes, 5 meters maximum depth, 5 meters maximum depth, Indoors. Unfortunately we do not have the email address of this Swimming Pool, but we can give you the phone number.